Losing your key to your Sea-Doo is not a fun adventure. Sometimes people would forget where they put their key, or a friend loses it… whatever the reason you need a new key. So what can you do to get a new key? Just like your car your Seadoo Watercraft has a code built into the key so that only your keys will start the machine. This means you’ll need to get new keys programmed to the jet ski. Can I Give You My VIN And You Get Me A New Key? Nope. In order to get a new key made to your watercraft, you must take the entire machine to your local dealer. You also can’t walk in with another key that works the watercraft and ask if we can duplicate it. The watercraft must be at the dealership no matter what if you want a key to be programmed to it. The Seadoo key is made up of two parts, a magnet, and a ROM chip. The magnet is what signals the jet ski to power on and read the ROM chip. The ROM chip contains a certain amount of digits. This combination of digits can make up a million different combinations of numbers. The number that is stored on the chip never changes. When a dealership programs the key to the watercraft what they’re actually doing is telling the watercraft is that its okay to let these certain digits start this watercraft. It also tells the watercraft what kind of key it should be, whether it’s a “normal” or “learning” key. So really the important stuff is stored on the watercraft. You usually have about 8 spots or allow to store 8 keys to one watercraft. If the key is removed the magnet is not there to keep the magnetic switch closed so the watercraft shuts off. As you can see above from how a key works, you can’t simply duplicate a key like you would a car. One key has a completely different string of numbers than the next key and they can’t be changed because they’re hard-coded into the key. How much it’s going to cost to get a key made can differ. Many dealerships charge different prices. Plus if you need a new key made you got to factor in the cost of a new key. It’s best to call your local dealer and ask them how much it’s going to cost. Also if you have a 2015 and up Seadoo Watercraft you have a new style key that is different than one linked above. So make sure you get the right key programmed to your machine. This key works much the same as the old one, but the new style is easy to put on. These two keys cannot be swapped. Can You Bypass a Sea-Doo DESS key? No, you can not bypass any Sea-Doo with a DESS key. There is no magic button or a way to hotwire and if you try you might do more damage than good. The key data is stored in more than one location and if certain things don’t match up the watercraft becomes a dud. 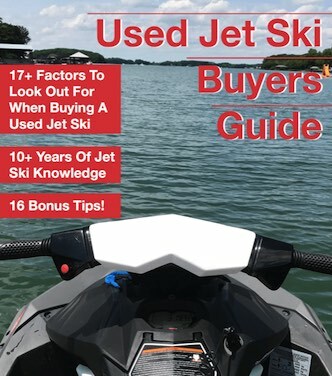 They do this to cut down on theft and a stolen Sea-Doo does get reported to BRP and it does go in an index that Dealers check. You can not start a Sea-Doo unless you have the key that is programmed to it! Can I Program My Learning Key as Fast? If you lost your fast or normal key and still have the learning key you can take the watercraft to the dealership and ask them to make your learning key fast. If you don’t want to buy a new key and program it then you can make the learning key fast, but you still have to take it to the dealership. If you’re going to take it to the dealership you might as well get a new key programmed, if not two so that you can have a spare. Do You Have Two Seadoo’s? If you have 2 Seadoo’s you can actually program them alike. Make sure to ask your dealership when you buy them to make all the keys alike. This way if you lose a key you have the others from the other watercraft that can start your machine. If you have a Seadoo Spark and it does not have iBR then you just the need the basic Spark Key to get going. Only certain models of Sparks got the DESS key, which is the one you program. The other sparks just use a magnetic safety lanyard and any of those spark style keys will start the machine. And no – don’t try to make your own key. Only use Keys made for your watercraft! These things are meant to save lives. 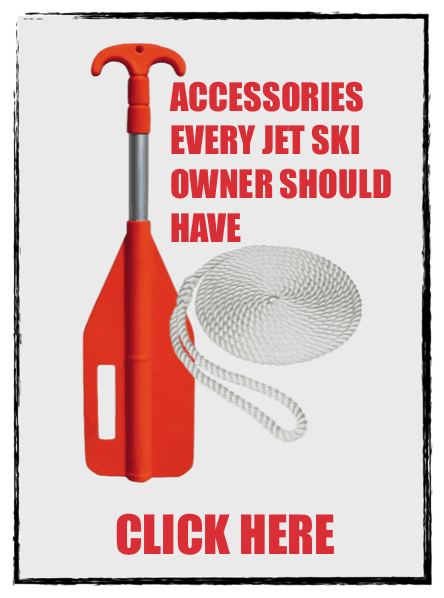 If you have a Yamaha, Kawasaki, Polaris, Tiger Shark, or other watercraft then you can buy a universal jet ski lanyard. These universal lanyards have many different clips and hooks that work for your machine. I do know some Yamaha’s will have a code or fob that will keep a machine from starting. Kawasaki will also have a device that will keep a jet ski from starting along with the safety lanyard. You can only get these things at dealerships. Can you please confirm if a 2016 sea do spark 3up model can also get a leaner key. I see yes on some forum’s but our local dealer said never seen one. Only the Sparks with iBR had the option for the learning key. They did have an option to get a DESS key installed on a Spark without it, but I think you only got the fast key. If the Spark does not have DESS then a regular spark key will work. Help! Lost key to 2000 Bombardier Seedoo. Our dealer in town could not get us another. Said computer did not go back that far. What am I supposed to do? This is a tough one. Older Sea-Doo (2-strokes) used an old handheld computer to program keys. Over the years these handhelds have started to fail and only a few dealerships even have one that works. Sea-Doo did come out with a computer adapter but it also has faded away. The best thing to do is call around to all dealerships to see if they can program 2-stroke Sea-Doos. Also, call other repair shops since they may have an aftermarket programmer that works with 2-strokes. Other then that there is not much you can do. Pretty much anything older than 1996 will not have DESS. But a way to know is the post where you plug in your key will have metal connectors on it. The best place to go is your local dealership. Check out https://www.sea-doo.com/ to locate the nearest dealership. Make sure to call ahead since the 3D is a 2-stroke and may need an older version of the programmer. I have a 2008 seadoo speedster 200 430 hp boat. I’ve lost the keys. Do you know if a can just purchase any of the dess lanyards? I know I have to take the key and boat to get programmed. I just wasn’t sure if I needed a special key since it is for a boat and not a jet ski. For that model, any of the Sea-Doo watercraft DESS keys will work (not the RF ones). The trick will be to call a dealer ahead of time to make sure they can still program that boat and to see if they have the keys in stock.